Discoveries & Inventions will return tomorrow. Today, I’d like to officially announce the impending publication of His Obsession, a Georgian Regency historical novel, by Siren BookStrand in March, 2012. Thank you to all my Sizzling Sisters at Southern Sizzle Romance for giving me the hard push I needed to submit my completed manuscripts to publishers. Special thanks to Jillian Chantal who is multi-published with Siren BookStrand for recommending them. Siren BookStrand and Champagne Books who will be publishing my paranormal shapeshifter novella, Into the Lyon’s Den, have been both professional and courteous throughout the submissions and contract process. To celebrate the upcoming publication of His Obsession, my posts today at Southern Sizzle Romance and The Writers Vineyard will have a Regency theme. Moonday’s Hunks in History at Southern Sizzle Romance (http://southernsizzleromance.wordpress.com/) salutes the gentlemen of Miss Jane Austen’s movie adaptations. The Writer’s Vineyard (http://thewritersvineyard.com/) post today features an exclusive interview with Miss Jane Austen. Miss Austen will discuss the craft and business of writing romance. 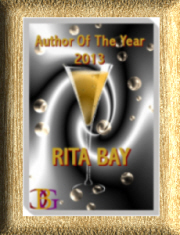 Congratulations on your book release, Rita! All the best with it.